Pasteurella multocida (P. multocida) is an important pathogen that causes bovine respiratory disease (BRD) in China and other countries. To investigate the antimicrobial susceptibility of P. multocida isolated from different provinces in China, we analyzed antimicrobial susceptibility phenotypes and pulsed-field gel electrophoresis (PFGE) types of P. multocida; then, we sequenced the complete genome of strain found to be multidrug-resistant. The isolates exhibited resistance to many antimicrobial agents, especially amikacin, sulfamethoxazole, sulfachloropyridazinesodium, macrolides, and fluoroquinolones. Pulsed-field gel electrophoresis analysis showed that a clonal spread of multidrug-resistant isolates occurred in various provinces. All of the isolates carried class I integron. Xiu-Yun Jiang and Hong-Xia Ma contributed equally to this paper. We thank Ying Zhang, Lei Liu, and Ren-ge Hu for their laboratory contributions. This research was funded by the National Key Research and Development Plan (grant number: 2016YFD0501301), the National Natural Science Foundation of China (grant number: 31702293), the Science and Technology Development Plan of Jilin Province (grant number: 20170520074JH), Jilin Provincial Education Department “the 13th five-year” Science and Technology Project (grant number: JJKH20180696KJ), and the Jilin Agricultural University Research Foundation (grant number: 201702). 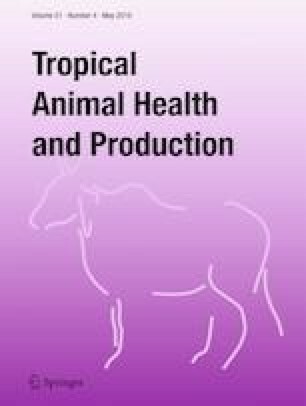 This study was carried out in accordance with the recommendations of ‘Laboratory animal-Guideline for ethical review of animal welfare (GB/T 35892-2018), General Administration of Quality Supervision, Inspection and Quarantine of the People’s Republic of China’. The protocol was approved by the Animal Care and Use Committee of the Jilin Agricultural University.